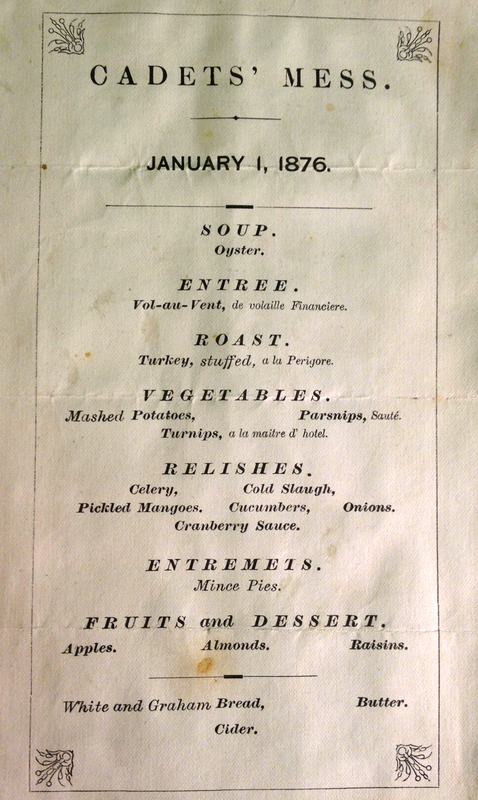 A patron of the United States Military Academy at West Point, which neighbored her Hudson River estate, Jane Poultney Bigelow made certain that the cadets had a New Year’s feast to remember in 1876. How often do truffles appear in the mess hall at West Point today? Published: July 28, 2013 Dimensions: 1834 × 3072 Posted in: Archives Gallery Post a comment or leave a trackback: Trackback URL.